If you have an Android smartphone, you may face this problem called, "Storage space running out some system function may not work" or something like this, about insufficient storage capacity. So here is the question is why this error comes? In this topic/tutorial we will show you why insufficient storage error comes and how to solve this, see the below details about this. This error comes in all most all Android smartphones, it may Micromax, Samsung, Lava, Karbonn. Mi, Gionee, Sony, Vivo, Oppo or any other brand but the solution is one. Storage Space Running Out Error, Why It Comes? 1) Insufficient storage or storage space running out comes due to low storage available in device memory/storage. The device storage helps to run the system apps as well as the downloaded apps smoothly. So more free storage in device will help to run smartphones smoothly. 4) If you use social media and multimedia messaging apps, by default it stores media files i.e. Images, Audio files and Videos in device storage. 5) This problem may comes due to faulty firmware or old version firmware. 6) Due to bad sector in Internal memory/storage. 7) Due to built in storage space low in some low priced Android smartphones i.e below 512MB or 1GB. Solution For Storage Space Running Out or Insufficient Storage. 1) Uninstall unnecessary apps from the device. 5) If the smartphone has low inbuilt storage then do not use more applications. 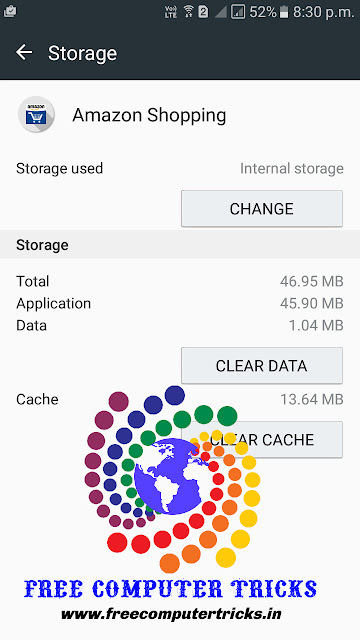 6) Clear Cache of application to free more storage in the device storage. 7) Use Temporary file, Cache and History Cleaning Application. 8) After browsing remember to clear History in browser to free Storage. 9) In some high end smartphones you may get this error, although the free space is 1GB or more, now a days some phones come with high Internal storage capacity i.e 32GB or more, but why this error come? because these phones are designed to give better performance, so they limit the use of Internal storage to run the phone smoothly, when you cross the storage limit available for users this error comes, then you need more free storage in the device by following the above process.